Imagine yourself standing on the coaster car without any harness and trying to ride it all the way through without falling. That is how I feel on many a day. Off balance, frustrated, frightened, angry and aaahhhhh! This is a question people often ask. Well, people who seem to think that stress and anxiety are a state of mind that can be changed at will. Yes, I know a few. For me personally, balance is everything. 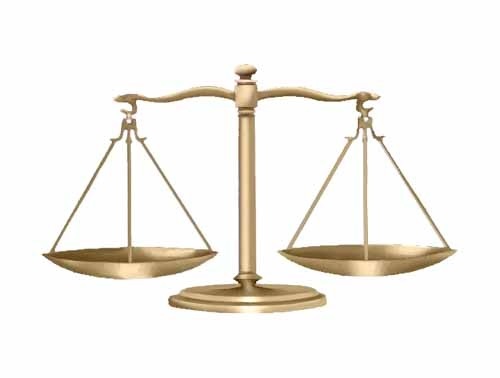 Balance can mean the difference between having a good day and pondering where I should hide the body. If you have experienced days where you are contemplating the murder of the village idiot you know what I am talking about. The problem is, if I kill this idiot two more would take its place. They are like hydras that way. I have always thought that this was one of the dumbest things ever said. 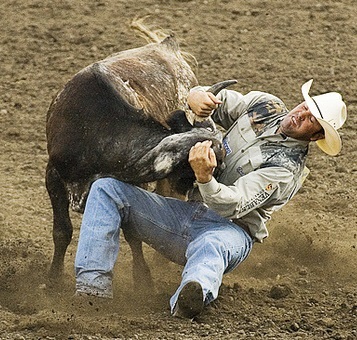 Managing stress, for me, is like wrestling a bull. Only instead of a big strong rodeo guy you have a short, fat grandma type. I can only hold it off for so long. Eventually I will get tired and the stress will win. If you don’t have the physical, emotional and mental energy to “manage” your stress, what to you do? You go for that ever-changing and elusive balance. As the stress increases your me time will need to increase also. It is a fact of life. Time To Wake Up – I can no longer jump out of bed at hit the floor running. I did this for years, but it is very bad for dragons. They don’t like to be disturbed and tend to breath fire at The Twins if pushed. If I can have 15-30 minutes in the morning to just get started I do better during the day and the Fearsome Foursome are better behaved. Meds & Eleviv – For someone with a mental illness, this is not optional. It is required. This is the first thing I do every morning. My family really appreciates that I take the time. Prayer and Meditation – This is quiet time. I use this time to talk to God and work through the challenges of my day. This does not require being alone in your room with the door closed. I often do this while I am in the car by myself. Yes, I talk out loud, gesture, cry, get angry and all the other things that come with heart felt conversation. Uplifting Input – It is difficult to have positive thoughts if all you do is put in frustration, negative information, etc. Our brains require fuel (food for thought) to work. Positive fuel is much better than negative fuel. I love to read my scriptures. The Book of Mormon is my favorite. When I don’t have time to read I like to listen to uplifting music, talks, and audio books. If I am too tired to read an uplifting movie is always good. You know, the kind that have a happy ending to the human condition. Movies that leave you feeling filled. Take a Break – Sometimes we just need to stop. We just have to learn to read the signs. For me it is when I start to shake, or have an anxiety sweat, or feel the need to cry. This means that I must quit RIGHT NOW. If I pay attention, I can feel the physiological changes that proceed them. The most important part of stopping is not the act of stopping. It is NOT feeling guilty. It is okay to stop and take a breather. Whether it is for a few minutes, an hour or a whole day you take the time you need. It is allowed. Do Something Fun In The Middle Of The Day – This makes busy days easier to handle. I like to play the piano or sit outside. Sometimes I’ll make myself something to eat that I don’t have to share with anyone else. Time Every Evening To Put My Day to Bed – This is important. Because of the higher stress levels it takes me longer to settle the Fearsome Foursome at the end of the day. If I want to go to sleep I need to clear my head and calm my emotions. I have an end time for my day. It is 7:00 p.m. Why a specific time? Because otherwise I will keep going until I pass out. By this time in the evening I have made dinner, fed my family and gotten it all (or mostly) cleaned up. Dinner is my time to talk through the day with Daughter and my parents. After 7pm is quiet mother-daughter time. After Daughter goes to bed at 9pm it is my time to download. Mindless games or puzzles work great. Crocheting still works the best. I end my day with a few quiet minutes to pray and put the things I cannot do into God’s hands. Be Willing To Let Some Things Go – This is easily said but very hard to do. Over the years I have learned to ask myself these questions: 1. Will it matter tomorrow? Next week? Next year? If the answer is no, then it doesn’t matter now. 2. Will it be funny tomorrow? Next week? Next year? If the answer is yes, then look at the ridiculousness of it. 3. If I don’t get it done today what are the consequences? Can I live with them? You will be amazed at how much stress this can eliminate from your daily life. Enough Sleep – I need at least eight hours of sleep to function. All at once is better, but sometimes I have to take a nap after getting Daughter off to school. If I don’t get the required amount of sleep I am tired, cross, depressed and tend to let the dragons out to deal with life. That is a lot to have to think about all at once. These are things that I have learned over a very long period of time. Some of them I have been doing for so long I don’t even think about them anymore. Do they work perfectly? Not on your life. Do they help? Definitely. Do I struggle with some of these? Hell yes! Sleep is the one I struggle with the most. Why? Because nighttime is the only time that I have the house to myself with no responsibilities and no one requiring my time or attention. It is so easy to stay up reveling in it. Where do I find the time for all of this? Not always easy. Like I said, I do a lot of my praying and meditating in the car. For the something fun, I often put on an audio book while I am doing mindless chores. My library is quickly growing. Also, I’m usually alone for lunch so I can make whatever I want. Sometimes I have an ice cream sunday. The uplifting input? I quit watching the news because it takes 3-6 positive things to overcome a single negative. Now I don’t have to work so hard with the positive input. This post is so much longer than I intended. I forget how much work goes into relaxation, rest and balance. It is very counter-intuitive. I’m going to go make my something decadent for lunch. Go cause a little trouble. It is a great stress relief. This entry was posted in Anxiety, Humor, Life and tagged brain, dragon, ridiculous. Bookmark the permalink. I, too, know I need sleep more than just about anything else I could be doing in the evening … but since Littler won’t stay in bed in the mornings, depriving me of the morning time I had almost all my life before he came along, the evenings are when I get a few moments to myself. I’m working on finding the right balance between sleep and having a few waking moments to myself. I imagine that’ll be a lifelong work in progress. I’ve been working on it for over 30 years now. I still haven’t got it down. We can work on it together. Thanks for stopping by.